You'll be £8.99 closer to your next £10.00 credit when you purchase Sherman Tanks, US Army, North-Western Europe, 1944–1945. What's this? 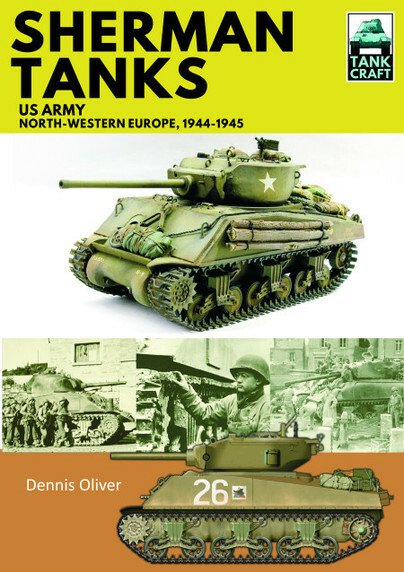 Following his first book in the TankCraft series on the British army’s Shermans during the battle for Normandy, Dennis Oliver has compiled a companion volume on those used by the US Army throughout the campaign in Western Europe. These were the tanks that made up the bulk of the American armoured forces that swept across occupied France and advanced into Hitler’s Germany. Wartime photographs and carefully researched, exquisitely presented colour illustrations show in detail the types of Sherman – including the main variants – that played a vital role in Allied operations. As with all the books in the TankCraft series, a section of this work displays available model kits and aftermarket products, complemented by a gallery of beautifully constructed and painted models in various scales. Technical details as well as modifications introduced during production and in the field are also explained. Quality Documentation that will delight modellers, historians and military investigators. A very valuable addition to the collection of historians and modelers alike. Highly recommended. The Sherman Tank is a huge topic, and this one does well in confining itself to the gun tank variations used by the US Army in NW Europe. Useful historical background on the units that used them, accompanied by lots of archive photos throughout the book, accompanied by equally informative captions. Add the information for modellers, a showcase of 3 well finished models and pages of excellent artwork profiles, this is very much a modellers' book and would be a useful addition to your reference bookshelf.